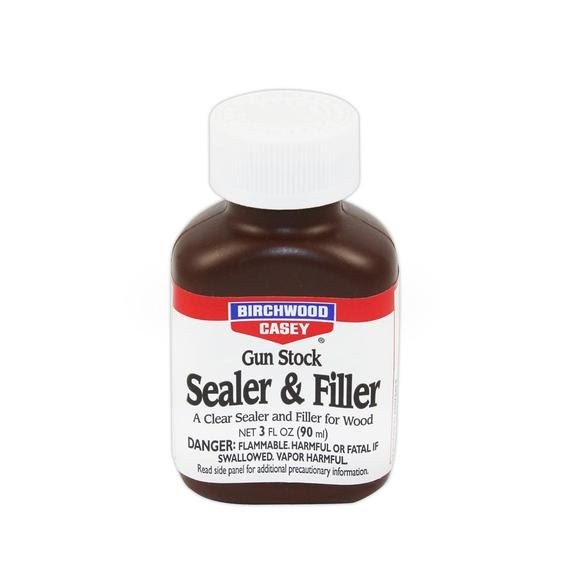 Birchwood Casey's Gun Stock Sealer and Filler seals out moisture and fills the pores in one easy step. A clear sealer and filler lets you choose your favorite stain or leave the wood in a natural tone. Use Sealer and Filler as the first step to a beautiful Tru-Oil Gun Stock Finish. Easy to use and dries fast. Birchwood Casey &apos;s Gun Stock Sealer and Filler seals out moisture and fills the pores in one easy step. A clear sealer and filler lets you choose your favorite stain or leave the wood in a natural tone. Use Sealer and Filler as the first step to a beautiful Tru-Oil Gun Stock Finish. Easy to use and dries fast.